Fresh tomatoes, a bit of sugar, lemon and a touch of cinnamon create this homemade tomato jam that balances fruitiness and acidity. The jame is cooked at a low temperature which benefits both the flavor and color of the original fruit. Pairs wonderfully with fresh cheeses like Capricho de Cabra and Miticrema. 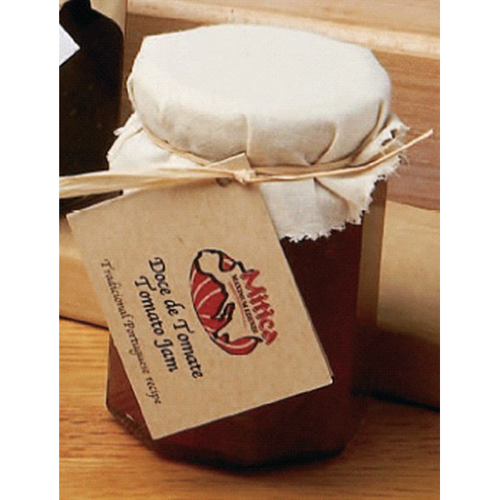 The sweetness from the tomatoes is great with strong Portuguese cheeses or it’s a nice touch in grilled cheeses or BLT.